Happy 2015! We hope the holidays offered a rejuvenating break and distance from day-to-day work and an opportunity for big-picture thinking about career and business strategy. What do you want to accomplish this year? What steps and actions will you take to achieve your goals? Chances are your first thought was about improving your direct work product, productivity or domain skills rather than improving your competencies as a manager. However, if your goals include a career and performance leap in 2015, improving your leadership skills may be the decisive factor in your success. In fact, by improving management competency and leadership skills you (and your organization) will stand out among peers and achieve far more when you look at how few managers are effectively engaging and leading their teams. 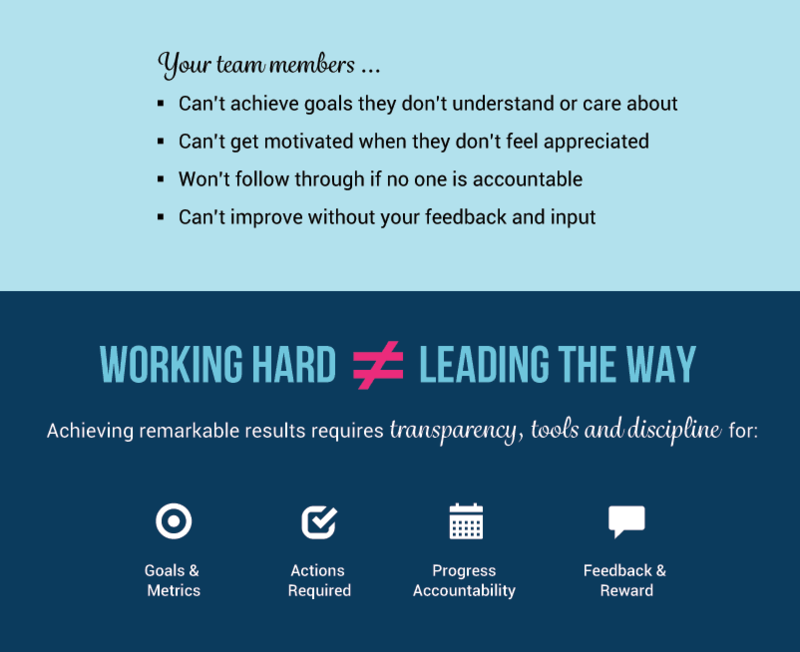 Most managers and executives work hard, but hard work isn’t the same as leading the way. Harvard Business Review, McKinsey and Gallup cite how managers spend their time as the root cause of these terrible employee statistics – too much time is spent on low level tasks like getting and reporting facts and not enough is spent communicating goals, holding people accountable, and providing coaching and feedback. A giant career and performance leap requires a real leap in leadership and management practices because achieving truly remarkable results requires a team of people wholly aligned and continuously committed to ambitious shared goals coupled with the management discipline to drive transparency and high velocity execution. When was the last time you communicated goals to the team and how frequently did you communicate them in 2014? When was the last time you communicated specific feedback to each member of the team and how frequently did you in 2014? What are your top priorities and strategic initiatives for the first half of the year? How well do you understand and can articulate them yourself? What are your top 10 deliverables in the next 30 days? How long does it take you to get execution status from team members on goals and how frequently do you get it? How would your team members answer similar questions about their top priorities, the goals as they understand them, and how their work specifically supports your goals? Do you know what their career aspirations are and how your feedback helps them achieve those goals? How effective are the managers and leaders on your team? People can’t achieve goals they don’t understand or care about, can’t get motivated when they don’t feel appreciated, won’t follow through if no one is accountable, and can’t improve without feedback. Like all New Year’s resolutions, building new management competencies and leading your team to remarkable achievements means developing new habits and practices. Making a leadership leap involves improvement across the trifecta of engagement, efficiency and execution. The framework below can help start the New Year off right and create new habits that ensure your year ends well, too. Anchor on Mondays: Anchor your week and your actions with your intention to lead your team to great achievement (versus muscle it yourself). Get centered on strategic goals and assess what’s needed to achieve them. Mission on Tuesdays: Reinforce the goals and metrics that matter for your team. Ensure team activities wholly align with goal achievement through direct engagement and assess goal gaps early in the week. Coach on Wednesdays: Invest time in enabling your team members to succeed. Rather than asking for status, ask what you can do to help. Listen to the answers and work to provide the help requested. Execute on Thursdays: Allocate the full day to executing what you need to achieve personally. Guard against diversions on misaligned or reactionary activities (e.g., ignore email missiles!) so you spend a full eight hours accomplishing priority work. Invest on Fridays: Tune into your team and reflect on your top, mid and bottom performers and their unique needs and contributions. Allocate time to advancing their careers by providing direct feedback, support for training or skill building programs or opportunities to excel. Rejuvenate on Saturdays: Don’t work, not even a little. Renew your energy with exercise and enjoyment. Give yourself permission to set work aside for the day to give your mind the day off. Reflect on Sundays: Bring your inspirations and aspirations consciously to mind on Sunday evening; reconnect with your resolution to drive remarkable achievement. Drop all doubt about your ability to achieve. The daily themes will help the resolution stick and keep you from sliding back into old habits and reacting to what comes at you. 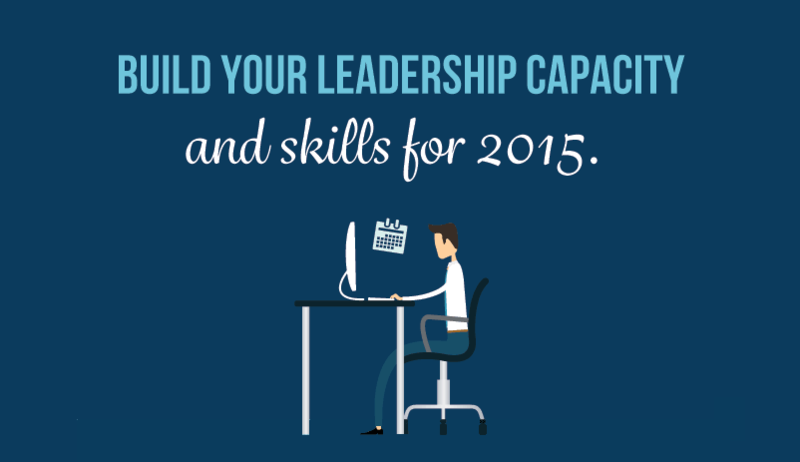 If you're really ready to transform your leadership skills, sign up for our free 30-day plan. New habits are not easy, but with an online plan of action, daily motivation, coaching and support, you can make it happen. Week by week, habits will align more closely to intentions, the mission will be clearer to the team, the quality of coaching will get better, execution more consistent and your ultimate results will be stellar.